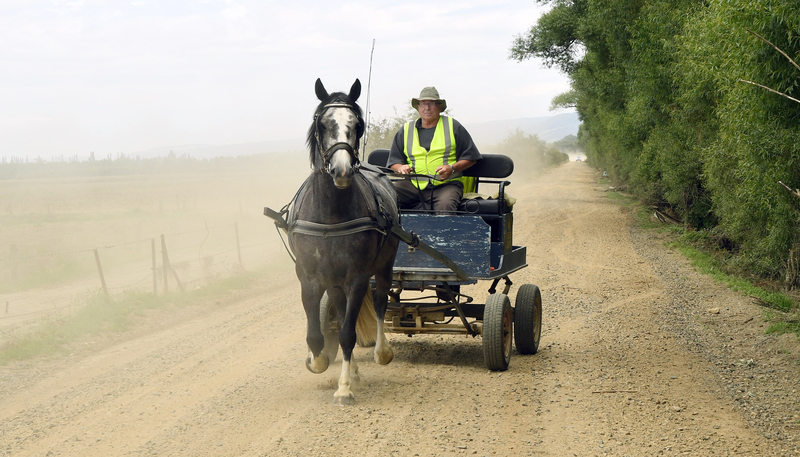 Les Bayne, of Mosgiel, in his light wagon, pulled by horse Pippa, travels along School Rd on the Taieri Plain as horse and driver prepare for next month's Goldfields Cavalcade to Lake Hawea. Their trail, the Tussock Creek light wagon trail, begins at Ribbonwood, near Omarama, on Feburary 23 and is already fully booked. It will take a week for the assortment of wagons to reach Lake Hawea, where they will meet up with 500 other cavalcaders and their supporters including walkers, runners, horse-riders and cyclists.